One of the leading manufacturers of milling machines. 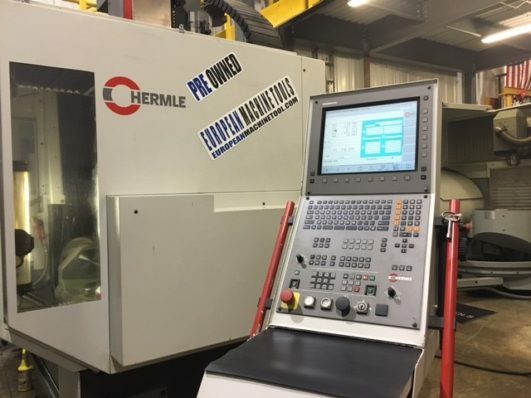 Hermle-manufactured machines in use worldwide. One largest manufacturers of cutting machine tools and a leading global manufacturer of CNC-controlled Lathes and Milling machines. Known as DMG Mori the company is one of largest manufacturers of cutting machine tools and a leading global manufacturer of CNC-controlled Lathes and Milling machines. ALZMETALL designs and manufactures drilling machines for the metal working industry. Renowned worldwide for its outstanding quality and reliability, the ALZMETALL drilling machines have gained the position as a market leader. Mikron is a leading supplier of highly precise machining centers, built in Switzerland. Mikron is regarded as one of the best in the market for high speed manufacturing. The partner of choice to successful tool, mold and die makers in market segments like electronic components, information and communication technologies and automotive, and to producers of high value parts for many industrial areas. The TNC 640 features optimized motion control, short block processing times and special control strategies. Together with its uniform digital design and its integrated digital drive control including inverters, it enables you to reach very high machining speeds and the best possible contour accuracy—particularly when machining 3-D contours.It is particularly well suited for milling-turning, HSC and 5-axis machining. Highest qualities at shortest machining times are achieved by high precision air bearing spindles in combination with the direct drive technology of the linear motor machines.